I’m pretty sure you have heard that almond milk is a healthy alternative to cows milk. You probably think it’s true but are not sure why. You also may be worried about getting in calcium. The good news is almonds are very high in calcium. I can tell you right now that ditching cows milk will NOT leave you deficient and will only create a healthier and lighter you. Why is this? I never thought you’d ask. For starters; milk is inflammatory. In most of the population this milk causes gas, constipation, bloating, diarrhea, along with acne problems. If those symptoms do not sway you, what about how acid forming milk is? Did you know that Cancer cannot survive in an alkaline environment? Cancer can only live in an acid body. Riding products that are acid forming is definitely something you want to do. Cows milk is pumped with lots of antibiotics and hormones that we don’t need! These leak into the milk and cause us lots of health problems. Switching to a plant based milk is the better way to go for our health and environment. 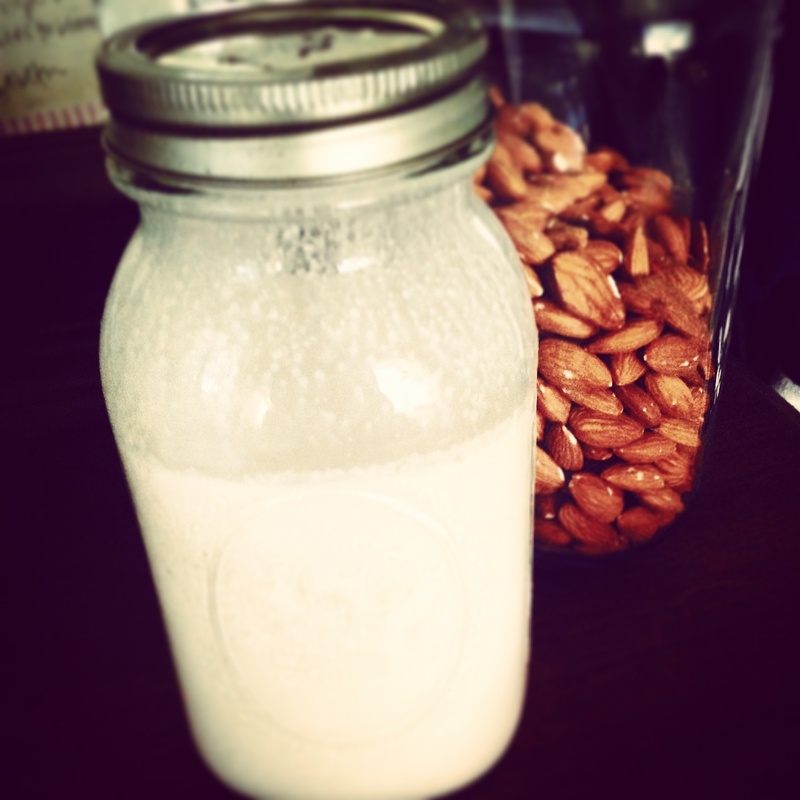 Almond milk has lots of antioxidants that can help prevent many types of cancer and slow down the aging process. Doesn’t it sound appealing to have a milk you can drink packed with essential vitamins and minerals your body already needs? Almond milk has less fat then cows milk and doesn’t contain saturated fats. There are also plenty of plant based sources for calcium. I have a recipe below on making almond milk yourself. DIY to create a cheap and quick batch which is free of preservatives and processing.